With Readly you can read John Lennon and thousands of other magazines on your tablet and smartphone. Get access to all with just one subscription. New releases and back issues – all included. John Lennon still shines on. More than thirty-five years after his shocking death, this special Daily Mirror publication looks back on an extraordinary life. Using rare and unseen images from the magnificent Mirror archive, and featuring Mirror pages and reports, we relive the Lennon years, from Beatlemania to his time as a solo artist and peace campaigner in the 1970s. We document how he retreated from public life in 1975 after the birth of his son, Sean, before re-emerging five years later with a new album. The magazine reproduces the Mirror’s coverage of his shooting outside the Dakota building in December 1980, and shows how the world reacted to the loss of a musical icon. 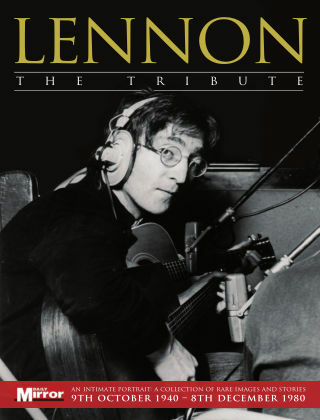 Released in the year that he would have turned 70, ‘Lennon: The Tribute’ is an essential read for all his fans.